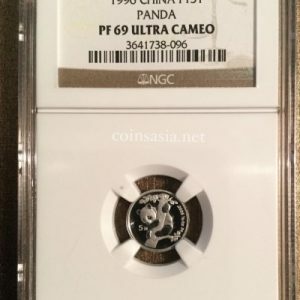 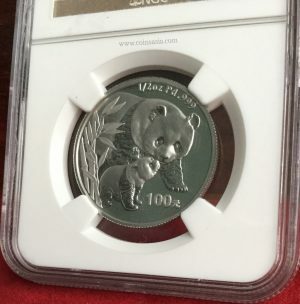 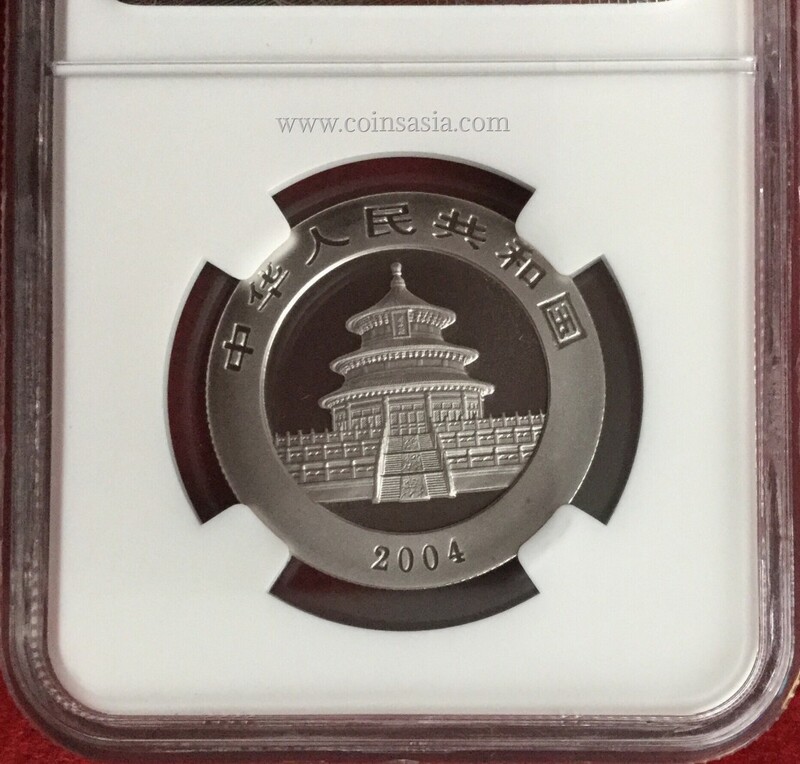 2004 China PALLADIUM 100 Yuan 1/2 oz Panda Coin. 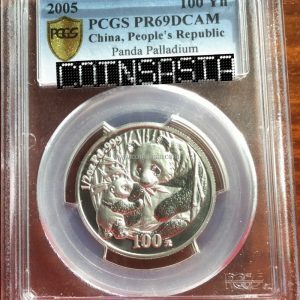 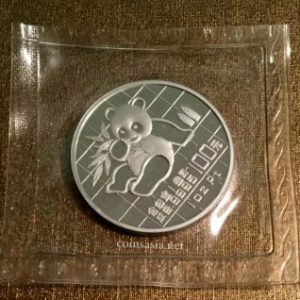 The 2004 China PALLADIUM 100 Yuan 1/2 oz Panda Coin is part of the Chinese Palladium Panda series. 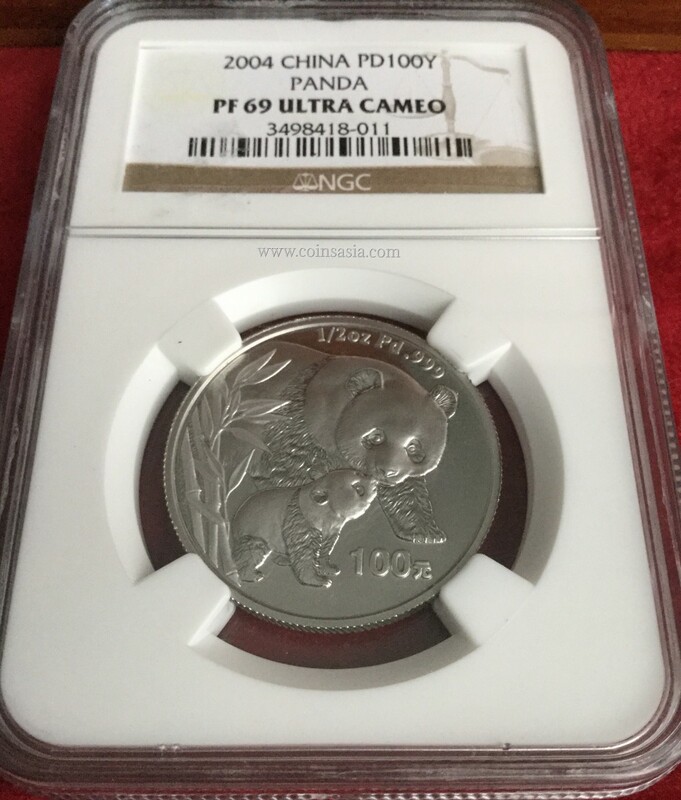 some of which host the lowest mintage of the Chinese Pandas issues. 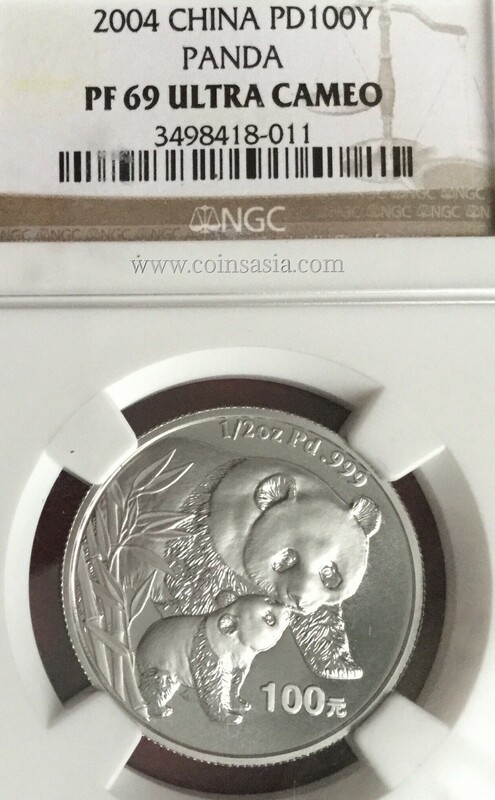 This Panda has a low mintage of only 8,000 pieces and this piece display a high grade with eye appeal.